We’d love your help. 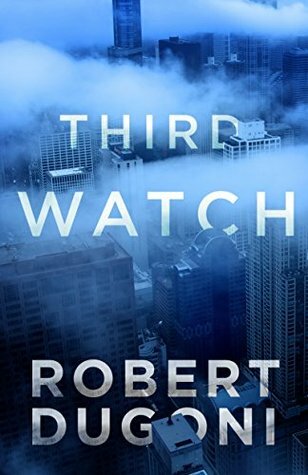 Let us know what’s wrong with this preview of Third Watch by Robert Dugoni. Tracy Crosswhite’s ordinary night patrolling her Seattle beat becomes front page news when she responds to a domestic disturbance call that turns into a hostage crisis. In this prequel short story to Robert Dugoni’s #1 Kindle-bestselling novel, My Sister’s Grave, Tracy Crosswhite is a young patrol officer, paying her dues, keeping her head down, and hoping a solid record w Tracy Crosswhite’s ordinary night patrolling her Seattle beat becomes front page news when she responds to a domestic disturbance call that turns into a hostage crisis. To ask other readers questions about Third Watch, please sign up. This is one of two prequels to what I hear is a fabulous series—the Tracy Crosswhite novels. I loved prequel #1, The Academy, and decided to pick up this short story as well. The verdict is I am really excited to dive into the first novel, My Sister’s Grave. Though Third Watch is only 44 pages, it packs a punch. We learn so much about Tracy, and I can tell you, I’m loving her already. She is a young patrol cop in this story, which takes place six years after The Academy (I advise that one be read This is one of two prequels to what I hear is a fabulous series—the Tracy Crosswhite novels. I loved prequel #1, The Academy, and decided to pick up this short story as well. The verdict is I am really excited to dive into the first novel, My Sister’s Grave. Though Third Watch is only 44 pages, it packs a punch. We learn so much about Tracy, and I can tell you, I’m loving her already. She is a young patrol cop in this story, which takes place six years after The Academy (I advise that one be read first). Tracy becomes involved in a tense situation where she has no partner and no backup. She must achieve control over an armed and dangerous man. If she fails to do so, the man’s wife and two young daughters (not to mention Tracy) will be in dire straits. I was rooting like crazy for Tracy to pull this off. The way she handled the situation and the aftermath was admirable, to say the least. This is a character I’m going to love to follow. If that wasn’t enough to fill 44 pages, we also get an interesting subplot involving the lack of promotion of women, thought by many to be gender-related, in the Seattle Police Department. A big highlight for me was the encounter between Tracy and her former nemesis in The Academy, Detective Nolasco, at the end of the story. Bravo! Bring on the novels! I really enjoyed this short story featuring Tracy Crosswhite. I recently read the Crosswhite series and liked the character. The author created ample tension and suspense in just a few pages. "Have you ever known anyone who was the victim of a violent crime?" "It’s like living in a bubble in which all your senses have been dulled. The world loses color; you see things in black and white and shades of gray. Food loses its taste and its smell. You don’t trust other people or their motives. And you begin to question everything about your own life and think you’re not doing enough, that you’re supposed to be doing something more, though you have no idea what that is." Another good prequel to the 1st book in the series. It tells a story of Tracy Crosswhite, when she was still a patrol officer working mostly the Third Watch, the late shift. Brilliant handling of a hostage situation, which finally brought her near her dream - to become a homicide detective. I had mixed feelings about Robert Dugoni’s prequel Third Watch: A Tracy Crosswhite Short Story. It’s not that I didn’t like it. In fact, I loved it. It’s just that as a short story, it left me wanting more. That’s a good thing, Mr. Dugoni. Having read the other books in the series as well as the first two novels in the David Sloane series, I was already a fan when I started this brisk, spellbinding read. Third Watch takes us back to Tracy Crosswhite’s days as a street cop when she chose to work n I had mixed feelings about Robert Dugoni’s prequel Third Watch: A Tracy Crosswhite Short Story. It’s not that I didn’t like it. In fact, I loved it. It’s just that as a short story, it left me wanting more. That’s a good thing, Mr. Dugoni. Having read the other books in the series as well as the first two novels in the David Sloane series, I was already a fan when I started this brisk, spellbinding read. Third Watch takes us back to Tracy Crosswhite’s days as a street cop when she chose to work nights because, as she put it, that’s when all the action occurred. Even though the Seattle Police Department had experienced complaints of gender discrimination within the department, I found it a little unusual that a female rookie would be out on patrol alone and have a reporter riding along to observe, but that is the scenario presented in this story. In fact, in The Academy: A Short Story, Tracy herself had been a “victim” of sexual harassment, if one can call it that, because she handled herself with aplomb. When an ordinary calm shift suddenly turns risky, Officer Crosswhite needs all the instincts and skills she’s honed first as a high school teacher and then as a police academy trainee to face a desperate man with a gun. With no backup readily available, will she need her rapid-fire shooting ability, or will she be able to defuse the situation? Whatever the result, reporter Tevia Kushman is bound to get one heckuva story. The author packs tons of tension into this brief work. We get to see Tracy Crosswhite almost in slow motion. We read her thoughts. We feel her emotion. We picture her motions. I, for one, liked it all. There were just a few minor details that bothered me. The first is as mentioned above: Are rookies in a large city like Seattle really sent out on patrol alone? The second thing I question is would a big city police department have no one available as backup for a solo officer in a dangerous situation? Yes, there was a legitimate backlog elsewhere, but no one could be spared? No one? That certainly adds to the drama of the incident and makes Tracy’s performance much more heroic. Artistic license? Maybe, but I have to deduct half a star. Considering what a fine story it is, that’s not much of a ding. I highly recommend this short story and the others in the series as well. This is a short story … less than 50 pages. THIRD WATCH takes us back to when she was a street cop …. Before she became Seattle’s first female detective. This is the prequel to MY SISTER’S GRAVE. There has been a lot of bad publicity concerning the treatment of female officers, so her supervisor has set her up to be followed by a reporter. Young and ambitious, the reporter is hoping for a huge scoop and she may get a bigger and better story than she had planned. A routine call lands Tracy in the m This is a short story … less than 50 pages. THIRD WATCH takes us back to when she was a street cop …. Before she became Seattle’s first female detective. This is the prequel to MY SISTER’S GRAVE. A routine call lands Tracy in the middle of a domestic dispute. A neighbor reports shots fired and then silence. The couple living there have 2 small daughters. Tracy requests back-up but it told that there are none available. Fearing for those childrens’ lives, Tracy goes it alone. Reaching the door, she finds herself looking down the barrel of a shotgun. Tracy must use not only her training, but also her life experience to bring this event to an ending that doesn’t end in death. For such a short story, the author has packed a punch with all the suspense from the first page to the last. Crosswhite is such a great serial character. For anyone who has read the series, or a part of, you really must read this one. If you haven’t read the series, start here .. and I guarantee you will want to read the others. It's a humid night in Seattle and Tracy Crosswhite is grateful for the slight breeze coming through the cracked window of her patrol car as well as the Starbucks coffee she has on deck. She's patrolled these streets and alleys for the past six years, gaining a perceptive feel for the area. Because of a gender equality PR storm that has recently hit the department, Crosswhite has a ride along tonight in the shape of a reporter. A reporter that ends up getting a much bigger story than she, or Trac It's a humid night in Seattle and Tracy Crosswhite is grateful for the slight breeze coming through the cracked window of her patrol car as well as the Starbucks coffee she has on deck. She's patrolled these streets and alleys for the past six years, gaining a perceptive feel for the area. Because of a gender equality PR storm that has recently hit the department, Crosswhite has a ride along tonight in the shape of a reporter. A reporter that ends up getting a much bigger story than she, or Tracy, had in mind at the beginning of the Third Watch. I just finished a prior prequel to this story, The Academy: A Short Story, and immediately dived right into Third Watch. An equally short read, this second prequel in the Tracy Crosswhite series fast forwards the reader six years down the line where we catch up with Tracy's career as a Seattle PD patrol officer. As always Tracy Crosswhite rocks! In Tracy Crosswhite, Robert Dugoni has created a detective who more than carries his amazing series of books. In Third Watch the author has again gone back to her earlier police career in uniform to show how she achieved her ambition. "She's competent, inquisitive and highly capable. " "She's the best shooter I've ever seen, Chief." It is very clear that Dugoni loves writing about her and as a reader he allows you to share in that process. This is just a short story but it is sufficient to have you In Tracy Crosswhite, Robert Dugoni has created a detective who more than carries his amazing series of books. In Third Watch the author has again gone back to her earlier police career in uniform to show how she achieved her ambition. Combine a smart, strong and compassionate h with compelling storytelling and you get this short. This is the second prequel to the Tracey Crosswhite series and I am already in love with this smart, sassy and savvy heroine. This story is set during the years that she was a beat cop on patrol. I really enjoy reading stories where the crimes are solved by intelligent, strong-willed women. Thank you J D Robb and Patricia Cornwell for your wonderful heroines but what have we here : Robert Dugoni (a male author) that has managed to capture all those great qualities that I adore in a her 4.5 stars. Thank you J D Robb and Patricia Cornwell for your wonderful heroines but what have we here : Robert Dugoni (a male author) that has managed to capture all those great qualities that I adore in a heroine with his female homicide detective Tracey Crosswhite. Dugoni presents another well-crafted preface to his new Tracy Crosswhite series. After suffering through the guilt of her sister's murder, Tracy Crosswhite used her thirst for justice to apply to the police academy. Passing with flying colours, she is sent to Seattle and works as a beat cop, now six years on the job. After the SPD is roasted for its treatment of female officers, a follow-up piece is slated and Crosswhite is given a journalist for a ride-along. Crosswhite prefers the Third Watch, Dugoni presents another well-crafted preface to his new Tracy Crosswhite series. After suffering through the guilt of her sister's murder, Tracy Crosswhite used her thirst for justice to apply to the police academy. Passing with flying colours, she is sent to Seattle and works as a beat cop, now six years on the job. After the SPD is roasted for its treatment of female officers, a follow-up piece is slated and Crosswhite is given a journalist for a ride-along. Crosswhite prefers the Third Watch, colloquially-known as the night shift, where they're action and she can hone her skills. Refusing to discuss the gender discrepancies, she answers a call of a domestic disturbance. Crosswhite seeks to diffuse the situation but calls for back-up, which does not arrive. Now Crosswhite must make the ultimate decision as the domestic is turning into a hostage situation and she has a reporter eyeing her every move. Acting as she feels any officer would, Crosswhite seeks to make personal parallels with a man who has his wife and daughter on the other end of a shotgun, though she is unprepared for what happens next and must think on her feet. Trying to take the 'do your best' approach, Crosswhite will not get sullied with the department's politics, even if it can secure her a fast promotion to detective. Dugoni fleshes out more about his new heroine, whose approach is success through hard work, rather than pity. Robert Dugoni continues to impress with this new character. Tracy Crosswhite is driven by desire and passion, hoping to make a difference every day on the job. in his second brief introductory piece on Crosswhite, Dugoni continues to lay the groundwork for a complex, yet approachable, character and one who uses her skills rather than her gender to climb the ladder, pushing those who seek to hamper her abilities well out of her way. With a chance to make a difference and push past the glass ceilings apparently in place, Crosswhite will surely be a force with whom many will come into contact over the coming years. Kudos, Mr. Dugoni for another wonderful short story. I am eager to see what readers can expect from Crosswhite in the years to come. This short story describes the incident that helps move Tracey past the sexism of the Seattle police department and allows her to get her chance as a detective. It wasn’t a bad story, but not quite as interesting as the previous story The Academy. Nice little filler book explaining how Tracy gets out of patrol and up to detective status. Tracy Crosswhite is a badass! This a a very short story that is about the beginning of Tracy Crosswhite's career. This one is actually set before the first novel about her, but I read it afterward and it still worked well. It was an exciting story about one night on third watch. It had a few characters that reoccur in the novels and that was fun. A must read for any fan of this series. I had not read any of his books before, and this did wet my appetite for the first book in the series, which I will start soon, and look forward to. I’m loving this smart amazing cool heroine! A nice little short story about Officer Tracy Crosswhite and the call that helped move her to Detective. I had My Sister's Grave already on my "to-read" list and while looking at the Prime reading selections currently available from Amazon I noticed this little short story. I'm glad I found it and I'll be shortly moving to the first in this series. This is a very good background story for the Tracy Crosswhite series. Written after the first books in the series, it helps explain the development of the character. Another prequel where the reader gets to know more about coming up in the ranks of the PD. Tracy is humble, sure, and such an introvert. Her rise to detective is long overdue! Her relationship with the media is better understood, as well. Great read. I really enjoyed seeing this insight into Tracy’s life before homicide, and it was great to see other recurring characters as their younger selves! Enjoyed this as much as I did the first one. Second prequel to Tracy Crosswhite series. Another quick but necessary read from the Tracy Crosswhite series. Love! I really enjoyed this Tracy Crosswhite short story. It was interesting to see Tracy as a rookie cop instead of the established detective she is in My Sister's Grave and Her Final Breath. The plot follows Tracy on a seemingly typical night on third watch, aka the night shift. The one major exception is that she has a reporter shadowing her. The events that occur on this night are what help to excel her career as a detective. It was interesting to learn more about the time period between Tracy the I really enjoyed this Tracy Crosswhite short story. It was interesting to see Tracy as a rookie cop instead of the established detective she is in My Sister's Grave and Her Final Breath. The plot follows Tracy on a seemingly typical night on third watch, aka the night shift. The one major exception is that she has a reporter shadowing her. The events that occur on this night are what help to excel her career as a detective. It was interesting to learn more about the time period between Tracy the school teacher and Tracy the hotshot detective. I also enjoyed the insight into the struggles she faced as a newbie. Robert Dugoni's writing, as usual, is fantastic. He manages to create a very natural and suspenseful story in just 47 short pages. The characters are developed, the plot is well-paced, and the setting is realistic. Excellent work! Robert Dugoni is the New York Times, #1 Amazon, and #1 Wall Street Journal Bestselling Author of the Tracy Crosswhite series: My Sister's Grave, Her Last Breath, In the Clearing, The Trapped Girl and Close to Home, as well as the short prequels The Academy and Third Watch. The police procedural featuring Seattle Homicide Detective Tracy Crosswhite has kept Dugoni in the Amazon top 10 for more than Robert Dugoni is the New York Times, #1 Amazon, and #1 Wall Street Journal Bestselling Author of the Tracy Crosswhite series: My Sister's Grave, Her Last Breath, In the Clearing, The Trapped Girl and Close to Home, as well as the short prequels The Academy and Third Watch. The police procedural featuring Seattle Homicide Detective Tracy Crosswhite has kept Dugoni in the Amazon top 10 for more than three years and sold more than 4 million copies. He is also the author of the critically acclaimed The Extraordinary Life of Sam Hell, released April 2018. Dugoni's first series featured attorney David Sloane and CIA agent Charles Jenkins. He is the winner of the Nancy Pearl Award for fiction, a two-time nominee for the Harper Lee Award for Legal Fiction, A two-time nominee for the Mystery Writer's of America Edgar Award and a two-time nominee for the International Thriller of the year. His non-fiction expose, The Cyanide Canary, was a 2004 Best Book of the Year. He is published in more than 30 countries and two dozen languages.